DnA’s series This is Home in LA continues with a look at architect-designed homes and the continuing influence of midcentury modernism. We visit a dramatic, Case Study inspired house that's ruffling feathers in South Hancock Park; and we ask if design media have turned Modernism into a homogeneous style that's dampening creativity. Jenn Swann reports on American Legion Post 43's Art Deco home in Hollywood, now being turned into a movie theater in a bid to bring in a wider audience. Is modernism the new LA house style? 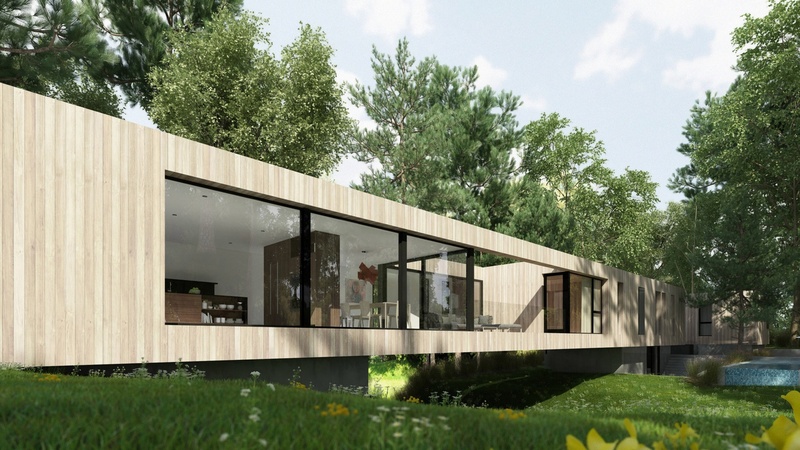 A rendering of The Bridge House, designed by Dan Brunn Architecture.